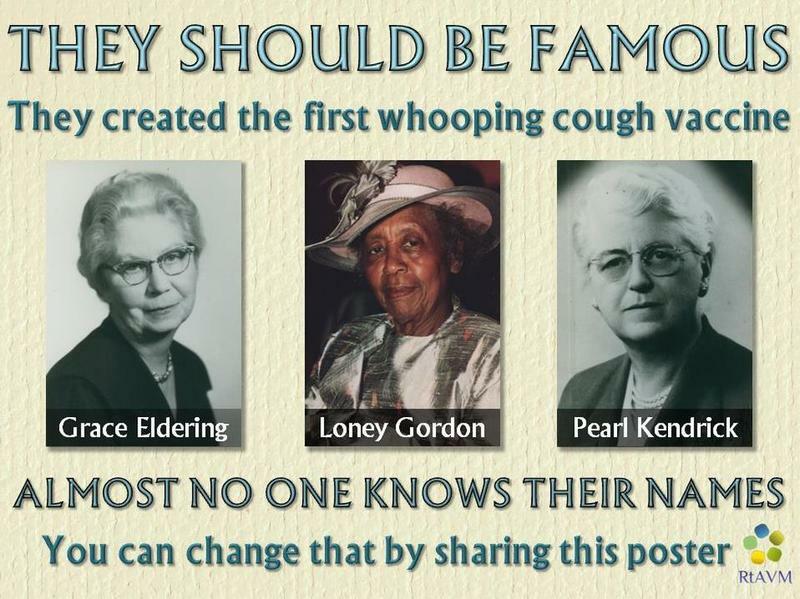 Scientists Pearl Kendrick and Grace Eldering created one of the world's first whooping cough vaccines in 1930s Grand Rapids. On their own time, with a lab and tiny budget, Kendrick and Eldering, with the assistance of African-America chemist Loney Gordon, devoted themselves to this medical mission. Gordon helped to make the vaccine become more effective. In the process, they brought a community together to fight a disease that was claiming 6,000 children a year across the country. They rallied support from local schools, parents, businesses, nurses and doctors. The vaccine that these three women created was not only one of the first, it was widely regarded as one of the best. They eventually led efforts around the globe to establish vaccine programs. Amid growing reports of whooping cough outbreaks across the state in 2015, it seems that their tireless work has long since been forgotten.